Search for your missing son in a spooky forest. "Through reactive narration," the game description explains, "the player experiences the mother’s re-telling of the events surrounding her son’s disappearance. Players follow the path of a terrified woman who has forced herself to enter this terrible place for the sole purpose of finding her son, in a setting heavily influenced by Norse mythology and Norwegian folk tales". 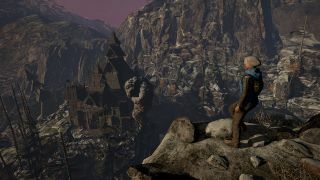 You can read more about the game from our interview with developer Antagonist back in July, or you can head to Steam, GOG or Humble to buy it—there's a 10% launch discount for the next few days.